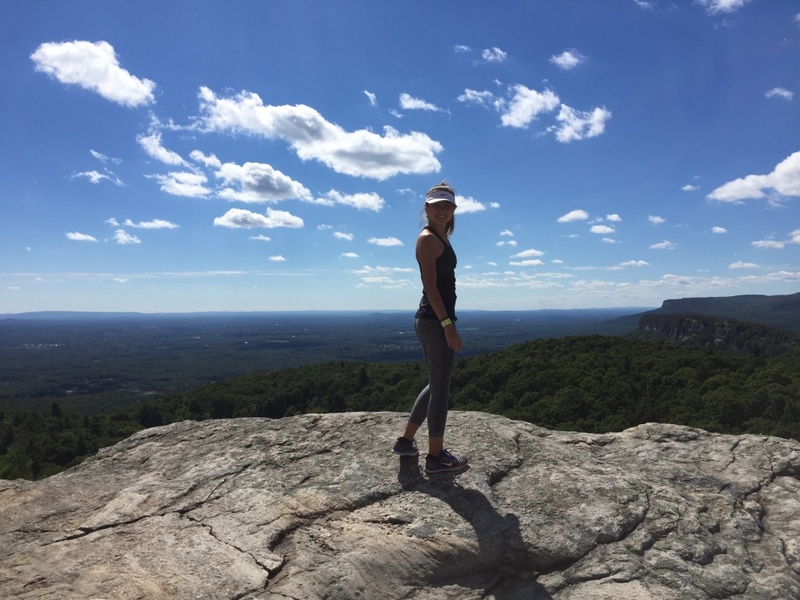 IIB Blogs – Another exciting weekend @New Paltz! Another exciting weekend @New Paltz! And yet again, another week has gone by!! I can´t believe that in less than 3 weeks we will be working and living in New York City! This past weekend was also full of new adventures, and places to visit while you are at New Paltz. It was Friday afternoon when the girls came up with the idea of going all together to the Cinema. Some of us had already signed up for the ISP Apple Picking trip whi ch was located near the campus in the afternoon and was really nice. We were all going to wake up very early on Saturday so we thought this might be a great idea to hang out and don´t be so tired for next day. We went to the Apple Picking in the afternoon, and afterwards,Sully was playing an d we decided to go and watch it. When I arrived I felt like I was in an 80´s movie theater as seen in movies. It was really different from the kind of cinemas we have in Mexico. We are used to big, and modern cinemas, where there are more than 10 movies playing and about 15 cinema theaters. Here at New Paltz there are only 4 or 5 movies and maybe just 4 cinema theaters. We arrived, bought our tickets, and of course popcorn and soda to watch the movie. Great experience! 7:00 am Saturday morning. Alarm went on. It´s hiking day! THE MOST AWESOME VIEW EVER!!!! The school took us to Mohonk Mountain were we met with the tour guides, and started hiking all the way up. We walked, ran, climbed on rocks, ate lunch in front of a beautiful lake, and everything was perfect. Could´t find a better way to end the outdoor wellness center activities. Really one should´t miss any of it! Register, register, register. To finish up the weekend, let´s go shopping! We found out that there were huge outlet stores about 45min ride from New Paltz, so we decided to rent a car and go there. It´s called Woodbury Commons Premium Outlets.Why did we rent a car? We looked up for all the options to get there and the cheapest one was by car. We arrived and it was so big, that we thought we would´t finish looking, but we did. It is an easy way to go and buy some things before moving to the big city! Wow! Sounds like an amazing weekend, I’m sorry about missing out on apple picking and the Woodbury outlet.. Well well next time! I’m glad you girls had a blast! It was a great weekend I really enjoy it!! !